Published Jan 8, 2014 by Addison-Wesley Professional. Part of the LiveLessons series. 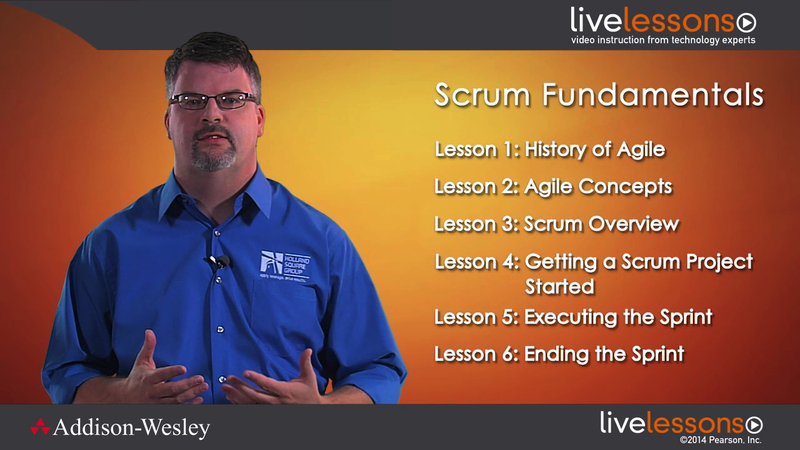 Scrum Fundamentals LiveLessons provides practitioners with a core understanding of Scrum—the most popular agile method—and helpful advice to help them deliver high quality products that add the most value to their customers. Tommy Norman is a Senior Consultant with Holland Square Group leading their Agile Solutions group. For more than seventeen years, he has been helping clients build solutions using both Agile and traditional approaches as a Certified Scrum Master/Professional as well as a Microsoft ALM MVP. Tommy is the coordinator for the Nashville Agile User Group, one of the original founders of the devLink Technical Conference, a past president and board member of the Nashville .NET User Group, and a frequent speaker at both local and national events. He blogs about Agile, TFS, and .NET at www.tommynorman.com and rambles about most everything on Twitter as @tommynorman.